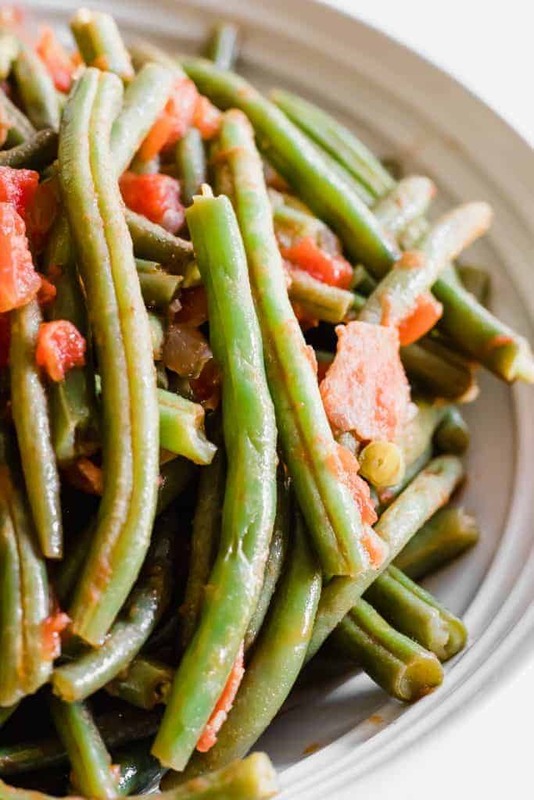 This green bean dish is easy to make and loaded with flavor from the bacon! 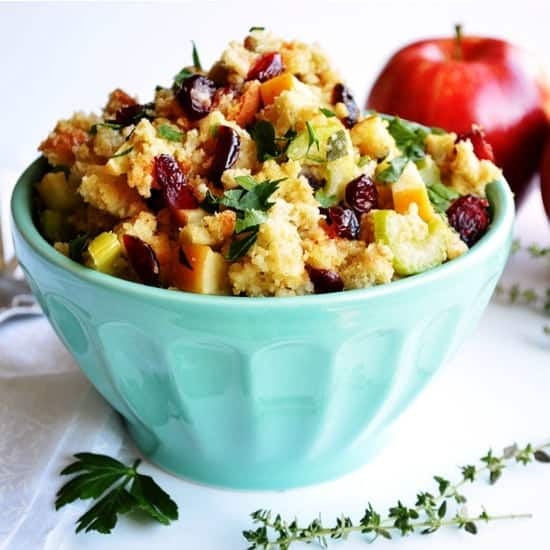 Perfect gluten free option for a Holiday side dish! My mom has been making green beans this way my entire life. When I hear green beans, I picture this dish in my head. 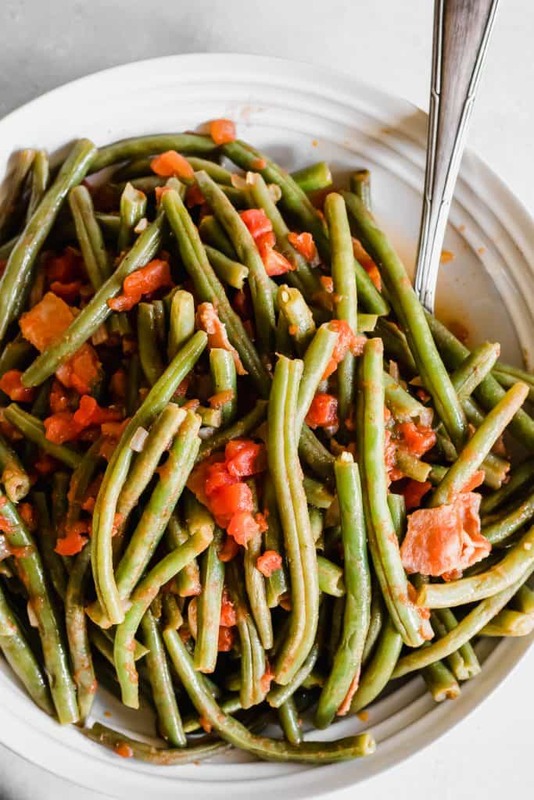 These green beans are so good in such a simple way. Green beans are good on their own when cooked properly. But cook them up with bacon!? How can you go wrong? 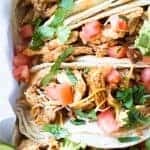 Bonus: this dish is gluten free! 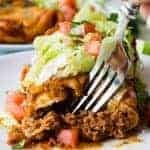 Perfect for those of you who are gluten free, plus it’s an easy dish to make if you have some family coming who need gluten free and you’re just not sure where to start. <——I’m totally in the second category. All my family is gluten free. I am constantly scrambling for ideas when they visit. I have so many memories of cleaning green beans for my mom. She would always set me up at the sink with a big bowl of green beans and a strainer in the sink. We would wash the beans, snap the ends off and then snap the beans in half. Good fresh green beans will give a little snapping sound when you break them. So much easier to just snap these with your hands than cutting them. Plus it’s therapeutic, one of those mindless tasks that has a calming effect. Bonus: it’s a great way to have the kids help in the kitchen! In our pan we start with the bacon, and once it’s mostly cooked, not crispy we add in some onion and garlic. These cook up in the bacon grease and that smell alone is enough to make your mouth start to water. Cook the onion and garlic for a minute or two and we can add in the green beans and diced tomatoes. Sprinkle some salt and pepper and give it a stir. Cover with a lid and just let these cook for about 20 minutes. Less if you’re using fewer green beans. 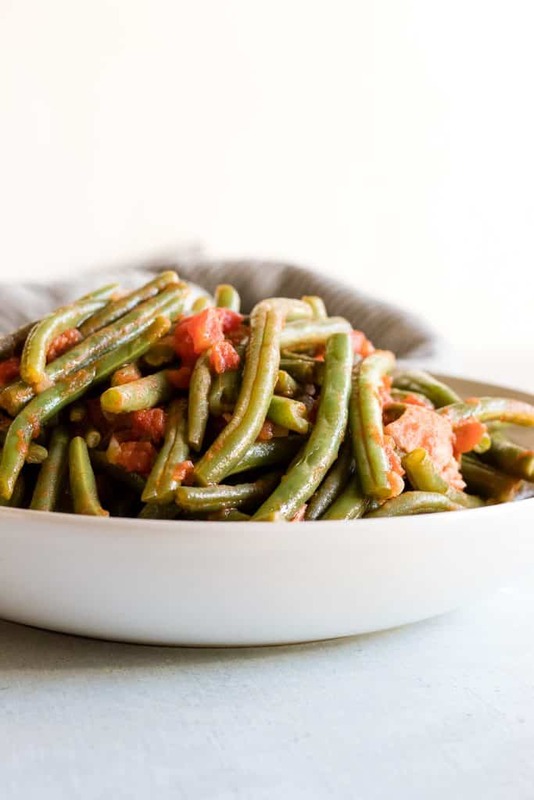 One important thing to remember with green beans is that they will continue to cook once you remove them from the heat. Typically if we were cooking them on their own we would be able to plunge them in ice water once we reached our desired done-ness. 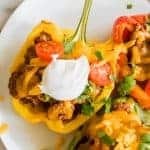 Since we are cooking them in the sauce however we will just need to remember to remove them from the heat when they are still a bit crisper than preferred. As they sit they will continue to cook and this way they will reach perfection! Clean the green beans, cut or snap off the ends. Cut or break the beans in half, making each piece about 2 inches long. Set aside. Dice the raw bacon strips up and toss into a medium size saucepan. Cook over medium heat for approximately 3-4 minutes. Bacon will still be soft, not crispy. Add in the diced onion and minced garlic. Cook for an additional 1-2 minutes. Pour out the excess bacon grease. 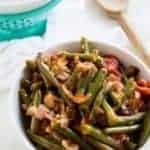 Return the pot to the stove, add in the green beans and diced tomatoes. Stir to combine, Add the salt and pepper. Stir the green beans. Turn the heat to low and cook covered for about 20 minutes, stirring occasionally. Note that cooking time will vary if different amounts of beans are being cooked. Remove from heat pnce beans reach desired done-ness. *Important-Green beans continue cooking even when removed from heat, so remove the beans when they are almost to your desired done-ness level. Less cooking time if you prefer more snap to your beans. 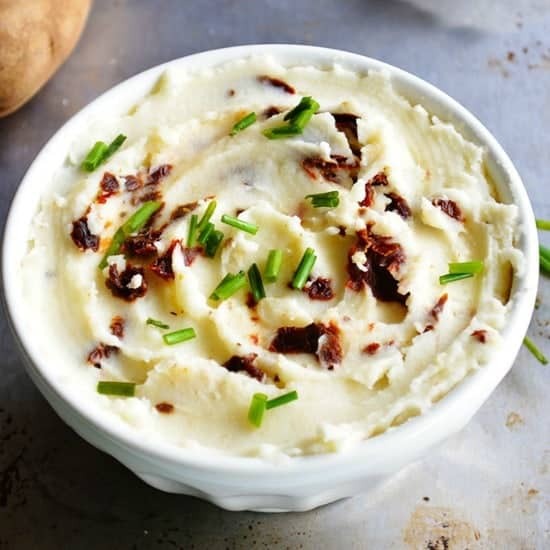 And if you’re feeling like getting a little funky on those mashed potatoes check out this Goat Cheese and Sundried Tomato Mashed Potato recipe. 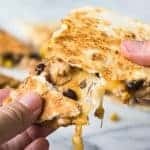 Because everything is better with CHEEEEESE. No Holiday meal would be complete without some… dessert! Of course. Did you think I would let you forget? 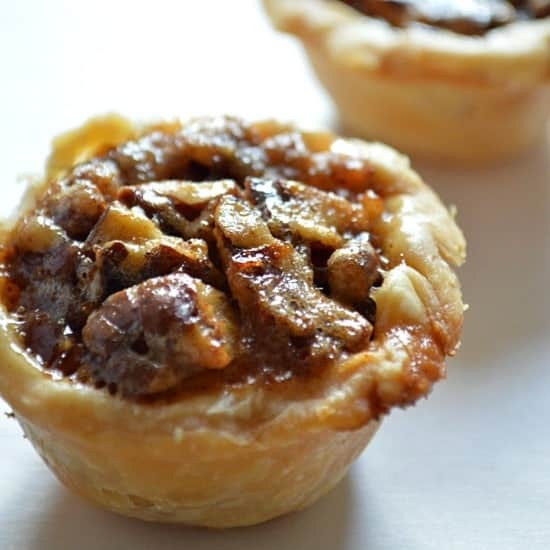 These Mini Pecan Pies are always a HUGE hit! Beautiful! I am now on a hunt for some fresh green beans. 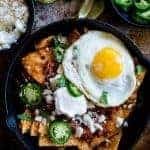 This recipe reminds me of nanny, who taught me how to make these.. Thanks Mom 🙂 Hope you find some!